Who are the greatest table tennis players? A very good question. And maybe the World Number 1 table tennis player on the current ITTF World Ranking is the best player? Today, let’s answer who is the most successful table tennis of all time. Who is the strongest table tennis players right now? Who is the greatest table tennis of all time? Who will be the sixth Grand Slam in table tennis? Why is the World n1 not 100% the strongest player? What is the New Ranking System? But why ITTF changed the ranking system? Will I upload the World Ranking every month? Based on their achievement in table tennis, and their popularity in this sport here is the list of most 5 successful players in table tennis. If Zhang Jike is the most talented player, Ma Long is the most hardworking player. Ma Long has the best forehand in table tennis, super strong footwork, and a strong backhand. He is the captain of China Team. His understanding of the game, as Liu Guoliang commented, “is number 1 in the world”. He has the highest winning percentage of all time and has won the most titles on the ITTF World Tour. Ma Long has struggled a bit to win a single world championship, but later, he won all the title to become the 5th Grand Slam in table tennis. His known weakness is his age and ability under pressure. Why is Ma Long one of the best players in table tennis? It’s because of his superior techniques and attitude to the sport. The fearless fighter in table tennis. He is the fastest player in history to become the Grand Slam in table tennis. Without a doubt, the most talented player to play this game. He has absolutely no weakness. He has one of the best backhands in the world. His footwork is superb and his speed is electric. He probably has the most beautiful game. What is really amazing about him is his ability to come back at the crucial moment. On many occasions, he came back from far behind and won. Unlike Ma Long who is melt under huge pressure, Zhang Jike is stronger in the late game. He is the 4th Grand Slam in table tennis. Zhang Jike won the grand slam only 445 days after his first major title, is the fastest and youngest player to do so. He has won twice the world championship and is now aiming for a second grand slam. Zhang Jike is a rebel force! In terms of gameplay, he is definitely better than Waldner, but why he is still not qualified to be the only one because of his inability to overcome My Long and his arrogant attitude. With the new poly ball, his game becomes less powerful than before and is out-dated of the new trends in table tennis. 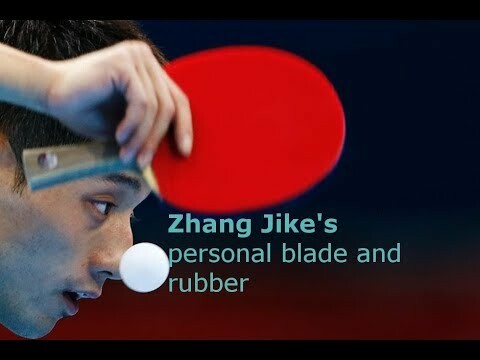 Zhang Jike is the most influenced player in table tennis. He has the most fan in the world. He is the Mozart in table tennis. He has the best blocking skills and the best feeling in history. That’s the reason that he is the 1st Grand Slam in history. In China, fans called him as Lao Wa, and “Evergreen”. He is “Evergreen” because he is still playing professional table tennis at the age of 52. Now he faces the player who is younger than his 30 years. 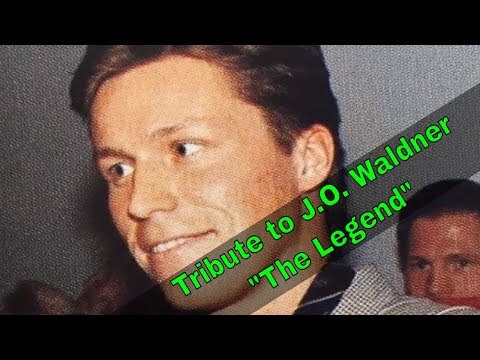 Waldner is amazing to watch, very elegant. His playing style is forever, longevity! He is the best of the best! If you want to win table tennis with tactics, intelligence, artist style, with variation, learn from J-O. Waldner. He is definitely the next grand slam in table tennis. Fan Zhendong at the age of 20 is already the most promising player. At the senior level, he shows no weakness and can compete with any top players in the world. He is already the World Rank #1. Hey, Fan Zhendong is not Grand Slam yet. So why he is on the list? When you watch this video, you will understand why he is on the list? In this video, you can easily see that Fan Zhendong dominated table tennis scene since the Junior, the Senior. In Junior (under 18), no one can match Fan Zhendong. At only 20 years old, he is already World Ranking number 1. Fan Zhendong is a fighter. He is like a combination of Ma Long and Zhang Jike. Fan Zhendong backhand is so powerful! And his forehand is not weaker than Ma Long’s. He is definitely the “Dragon killer”. He is the Champion of the World Champion. The best coach in table tennis. The 2nd Grand Slam in table tennis. Without coach Liu, China Team cannot dominate the scene like this. He is, no doubt, the head of China Team. Liu Guoliang is the most successful penholder in table tennis. He is the only penholder in the list of 5 Grand Slam in table tennis. All other grand slams are the shakehand player. Only Liu is the penholder. And I think in the table tennis history, no penholder after Liu Guoliang can be the next Grand Slam. Xu Xin is too old for this position. Wang Hao now is the national coach. and World Cup Table Tennis. So for me, the greatest table tennis player of all time must be a “Grand Slam”! No doubt! hey, I’m the best player in table tennis. I won 20 World Tours, 3 Championships, but I’m not the Grand Slam! So finally, who is the best player? If I have to vote, Ma Long is the strongest table tennis player in history at this moment. Ma Long is the best table tennis player right now. It’s 100% for sure! He has left everyone behind. His overall skills in table tennis are No1! For sure! No one can remake his winning streak in World Tour, and undefeatable 4-0 scores winning streaks! 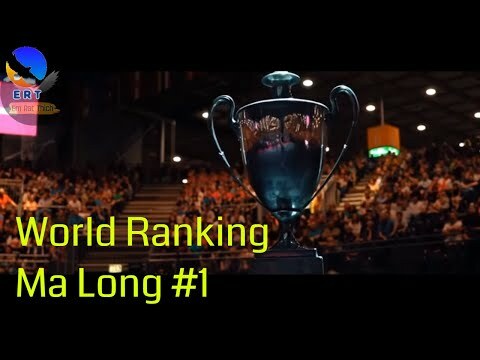 Just look at how strong and consistent of Ma Long in the Top 10 players in the World ranking. So if Ma Long is the best player right now, who is the greatest ping pong player of all time? I will vote for Jan-Ove Waldner (the Ever-Green in table tennis). He is considered the Mozart of table tennis because watching him playing is so pleasant. With J.O. Walder, table tennis is an art. His blocking skills, service, continuous attack, tactics and match reading are wonderful! He is no doubt the greatest table tennis of all time (GOAT). His aka in China is 老瓦 (Lao Wa) because it’s impossible to estimate his next move in the match. His knowledge of table tennis is so high. That’s why he still compete at a high level until 50 years old (in 2016). I think in the future, it’s very hard to have another greatest over-all skill like J.O. Waldner. Nowadays, one example of J.O. Waldner is Koki Niwa. His style is magic: His blocking skill, his sense, his feeling, and unimagined shot are nearly closed to Waldner. However, for the tactics, the variation in playing style, he is no way close to the “Ever-Green”. There are many candidates for that. But for me, who wins the Gold Medal in the Olympics Tokyo 2020 will be the next Grand Slam. But for me, Fan Zhendong will have a higher chance to be the 6th Grand Slam player in table tennis history. In January 2018, Dimitrij Ovtcharov has gained the World Ranking number 1 for the 1st time. This takes a lot of attention from the media. But in March 2018, Timo Boll has become the World Number 1. Today, in May 2018, that’s Fan Zhendong is World number 1.
core player) in the final of 4 WTTTC, an honor, and a duty. Ma Long is ranked only number 9. But he is the strongest player in the world, right now. He also made a record winning streak of 22 matches without dropping a single game. (4-0, 4-0, 4-0, 4-0, 4-0, 4-0, 4-0, 4-0, and 4-0 yes 22 times). He has won the World Number two, 3-0 in the team Final match. But please, don’t blame Timo Boll. He has politely said that “Germany top seed, but China the favorite”. So not only the viewers but also the players, are the “victim” of the new ITTF World Ranking. But what is changed? Well! ITTF World Ranking is used to be the accurate “World Ranking” which reflects the true player’s strength. The better player was ranked higher! But since 2018, ITTF has applied the “new World Ranking system” which actually make a lot of confuse to fans and players around the world. The new ranking is calculated for the position reached, but not from the opponent. So at the same tournament, if you win Ma Long, or you win the WR #600, you got the same point! (LOL – ridiculous!)! This setup breaks the true meaning of ranking! Only bonus points! If you are ranked #2, and if you lost to the #400, don’t be afraid! your rating points won’t drop! Just play and abuse more matches! And your ranking is only valid for 12 months. 🙂 Next year, you will be no one! As you can see, there are 4 main flaws (weakness) in the new ranking system. The ITTF World Ranking is a mistake? It’s the question of “money”! Steve Dainton, the new CEO has claimed: “the new system will increase prize money”. The main purpose is only for money? I want to find out “Who is the best table tennis players in the world right now”. I have explained the core, the algorithm of the code in the previous post. Here is the code to calculate the rating points of the top players in the world. The data are thousands of matches of ITTF’s tournaments. or lose the point. So we have an accurate and balance system. And here are the results, the real top table tennis players in the world – May 2018.
fails to predict the winning percentage of a player. – Yes, the programme is here. All I need is the database, all the matches played in every month. So I’m willing to publish this World Ranking, so you can estimate who is the real top players in the world. ITTF has removed the “Export Data” function on their website. I can no longer get the data. But I have a bad news for you. ITTF has recently disabled the “Export function”. So now, I can not get the data anymore 🙁 Without the data from ITTF, I can not run the code to get the real World Ranking. you are right coach. I also think that Ma Long is the MVP table tennis player in the history. Your idea of “must be a grand slam”, as a condition for shortlisting the candidates for TT GOAT is unfair toward some players, that were active in era when TT was not an olimpic sport. One of the names that comes to my mind is Guo Ye Hua, (2 x WTT Champion, 2 x World Cup champion), who was way ahead of his competition. What is more, he came from retirement and easilly defeat JOW, at his prime, or near his prime. I am not saying that GYH is the best ever, I just want to say that your criteria makes your choice much easier, but things are more complex. 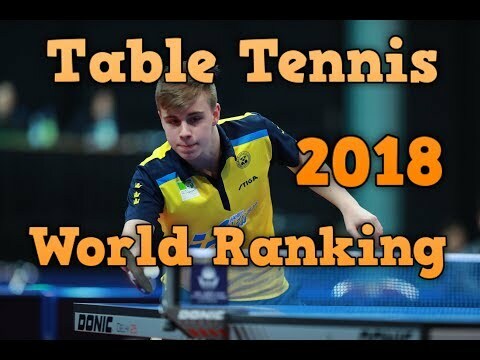 I had read carefully the new ITTF world ranking system and there is nothing wrong with it. It is the same with the system of Tennis ATP Rankings. If you think the ITTF new ranking system is not good then you are also saying Tennis ATP ranking system is not good since they are the same in principle.